Hunted by mysterious forces, a young woman by the name if Ruth played by Gugu Mbatha-Raw with supernatural abilities must go on the run when her powers are discovered. With nowhere else to go, she flees back to her family and the farmhouse she abandoned long ago. There, while being pursued by the local Sheriff (David Strathairn), she begins to mend the broken relationships with her mother (Lorraine Toussaint) and daughter (Saniyya Sidney) and learns that the power she needed was inside her all along. 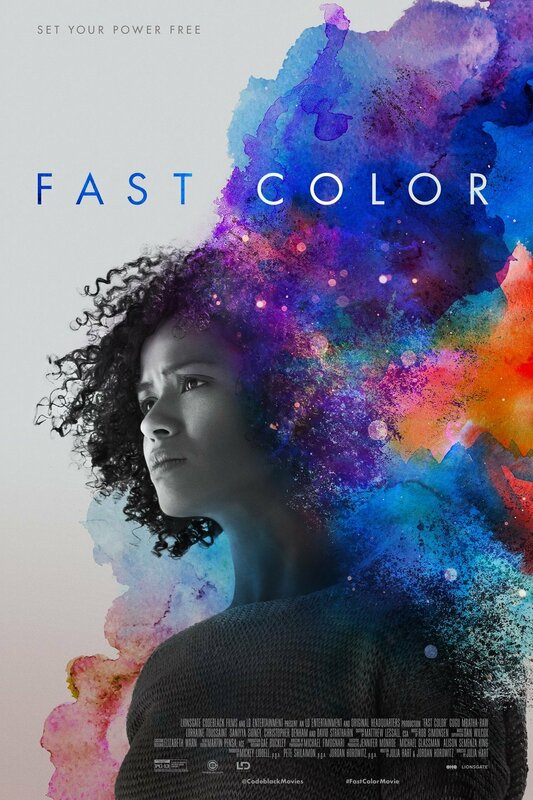 Director Julia Hart and her husband, producer Jordan Horowitz, co-wrote their original script for “Fast Color” in early 2016 soon after the birth of their son. Says Hart, “I wanted to tell a story that had women and mothers as superheroes. So much of the superhero iconography is male-dominated. It's about destruction. It's about creating a bunch of buildings and then blowing them up to save the world. I wanted to tell the female version of that, which is to create something in order to save the world." landscape of broken Americana where there’s an ongoing drought. Great info. The more stories there are on women's work and achievement, the better it is. samantha Schell and 13 others upvoted this.